These are a few of the books I read in April. 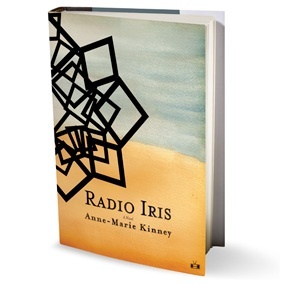 Radio Iris by Ann-Marie Kinney was by far my favorite read of April. Published by Two Dollar Radio, there isn’t anything they publish that I haven’t loved. Iris, a socially awkward woman who knows nothing about her boss or the business she works for, discovers a man living in the office next to her. Are you intrigued yet? I couldn’t put it down and was left wanting to reread it immediately after. milk and honey by rupi kaur was a reread for me in honor of National Poetry Month. I devoured it the first time I read it and tried to take it a little slower this time. I wasn’t successful. Seriously, how can you put the book down after that? Voracious: A Hungry Reader Cooks Her Way Through Great Books by Cara Nicoletti. Don’t read this book if you already have too many books waiting to be read. There are close to 40 short stories about her life related to books and each book has a recipe associated with it. Books and food! What else could you want? The only problem is it made me want to read, or reread, all of the books in it. But is that really a problem?